Parents everywhere are jumping for joy that school is about to begin! If you’re like me, you love your summers and the never ending pool playdates and getting up knowing that there’s no set schedule with your kids. Sadly, all that has to come to an end eventually. Now it’s time to get back on that sleep schedule and prepare for another session of school. I, myself, love schedules, and knowing that the holidays are coming around the corner makes me happy. But first things first, preparing my daughter for her first day of school. I know it’s just preschool, but I still take it seriously! It may only be three days a week at a few hours a day, but I want her to be prepared. Sophie loves backpacks and knows that having one means business. 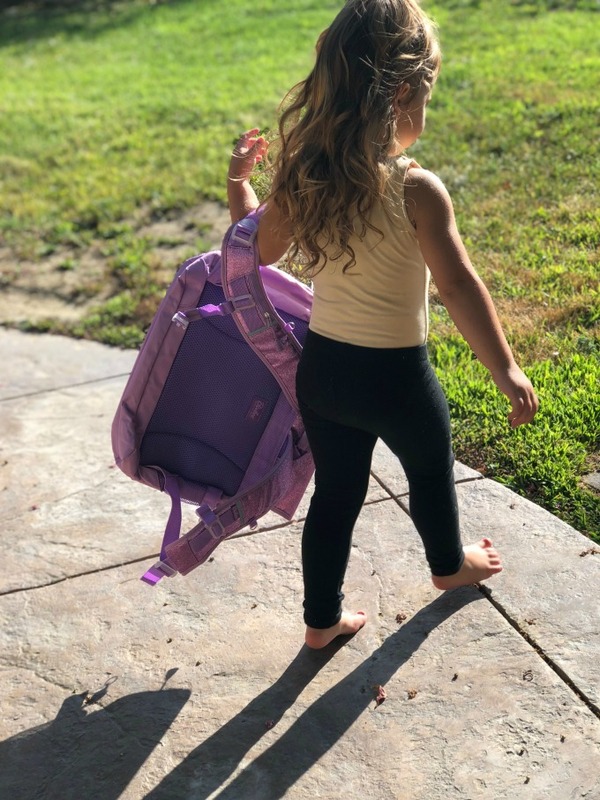 As soon as she puts the backpack straps on, she’s ready to strut her stuff with confidence into that classroom. This year she decided she wanted something that made more of a statement. 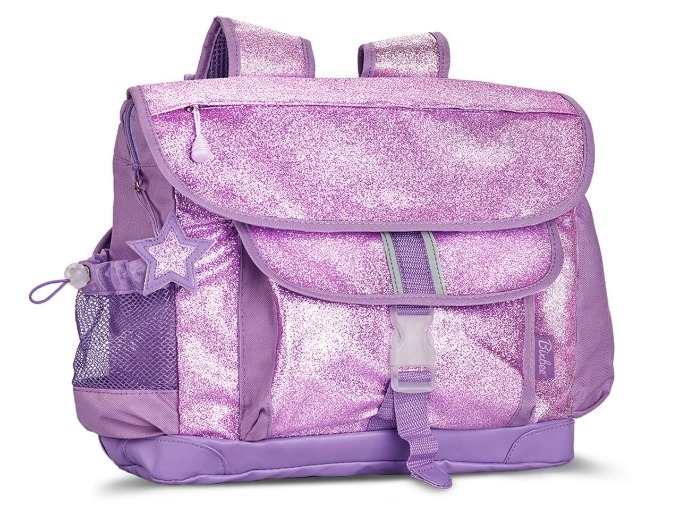 I call her my little tomboy, since she’s always preferred Paw Patrol over Princesses, and getting dirty over playing with makeup, so I was surprised when she picked out the Sparkalicious Backpack by Bixbee. She instantly fell in love! I can’t believe how advanced backpacks have become since we were kids. With all of the colors, patterns, functional styles and compartments, Bixbee truly has a backpack for every child’s personality. Aside from their amazing selection, Bixbee donates a backpack filled with school supplies for every bag sold. Now that’s a purchase I can feel good about. Another one of my favorite Back to School Essentials has to be the Zoli Pow Squeak. 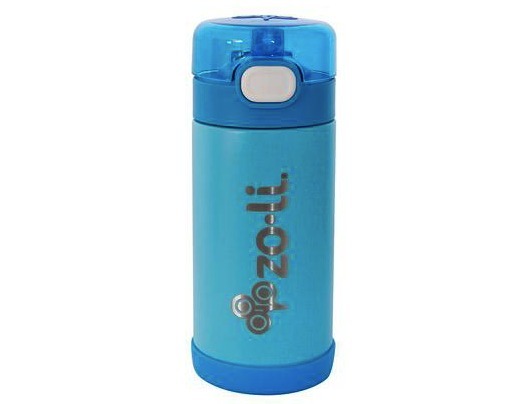 This little bottle keeps your little one hydrated during these warm days and it’s so easy for them to use. It’s designed perfectly for their little hands to hold, and the flip-open lid protects the straw from any dirt or sand. Last, but not least, one of my go to back to school items has to be Mabel’s Labels. I don’t know about you guys, but our school makes us tag EVERYTHING. 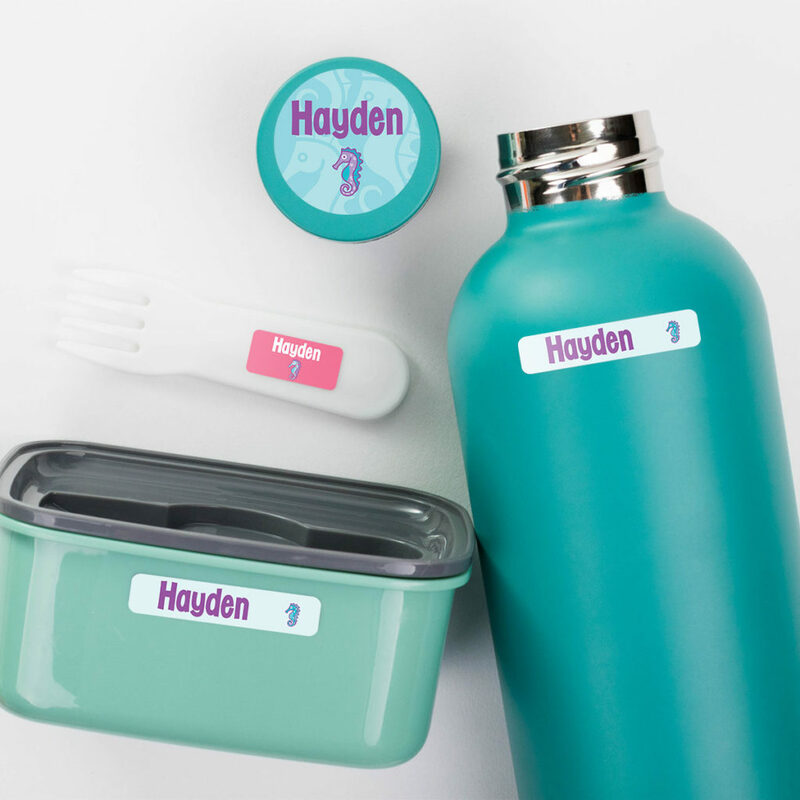 Luckily, Mabel’s Labels customize their tags with your child’s name with a variety of colors, styles, and sizes. I’ve really come to appreciate labeling, especially when it ensures your child returns home with everything they came with! I’m sure I’ll be updating you all throughout the school year with more favorites. This is just a start. Good luck everyone on the first week of school.